Kaizer Chiefs fought back to hold Lamontville Golden Arrows to a 1-1 draw in an Absa Premiership match at the FNB Stadium on Tuesday night. Cape Town City managed to conjure a point with a 1-1 draw against Highlands Park despite playing most of the Absa Premiership game with 10-men at Cape Town Stadium on Tuesday evening. Mamelodi Sundowns have gone level on points with leaders Orlando Pirates at the top of the Absa Premiership after claiming a 3-2 win over Chippa United at Loftus Versfeld on Tuesday afternoon. Kaizer Chiefs will return to Absa Premiership action when they take on Lamontville Golden Arrows at the FNB Stadium on Tuesday. 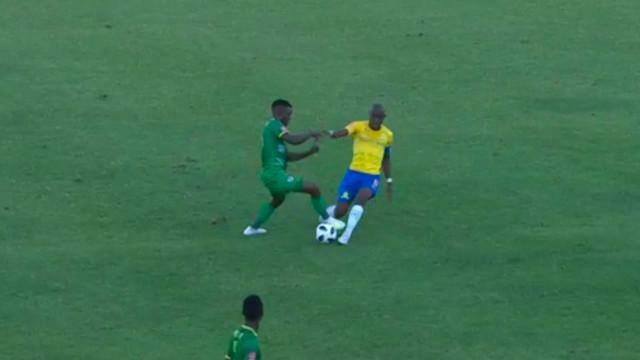 Mamelodi Sundowns secured a 2-1 win over Baroka FC in an Absa Premiership match at the Peter Mokaba Stadium on Saturday.